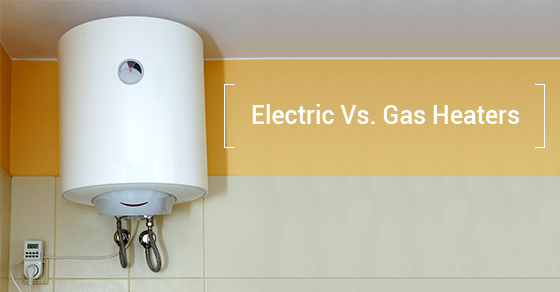 Electric Vs. Gas Heaters: What Will Save You More Money This Winter? According to Natural Resources Canada, heating accounts for 60 percent of a household’s total energy output, which has a vast effect on the state of one’s finances. It makes sense that Canadians are on the lookout for how to save money when it comes to heating their homes in the winter months. With gas and electric heaters being two common methods to heat homes, which one ends up actually being more economical? First of all, electric and gas heaters use very different mechanisms to produce heat. Gas heaters produce heat when a pilot light ignites the gas, which then produces heat. Electric heaters, on the other hand, convert the electrical energy they receive from power plants into heat. Electric heaters are typically more efficient, with some reaching 100 percent efficiency due to the fact that energy is not lost via the chimney as it is in a gas heater. However, this does not make electric heaters more economical. In fact, while electric heaters are initially cheaper, and are also cheaper and easier to install, gas heaters are less expensive over time because they produce more heat in the same amount of time due to the fact that they are typically more powerful. Since gas is cheaper than electricity, this means that it will be more economical to run a gas heater than an electric one. Even in provinces where electricity is cheap, gas heaters will still save you more money. With the present number of natural gas reserves, you also do not have to worry that the price of gas will dramatically increase anytime in the near future. If you are in need of a new heating system or are looking to save money on heating costs, it is worthwhile to look into a gas heater. Keep in mind that it is very important to maintain it regularly. The same also holds true when it comes to gas versus electric water heaters: gas heaters are the more economical choice. To ensure that you have plenty of hot water in the winter months, it is important to do routine maintenance. If you are in need of a new water heater, contact a professional as soon as possible. Whether you are in need of plumbing, water heating or other specialized services, contact our team of experts at Brothers Plumbing today. We have over 50 years in the industry and offer affordable rates.